See how to quickly and easily program an I2C EEPROM using the Aardvark I2C/SPI Host Adapter and Control Center Software. Our hard-working support team has just published their latest help article in the Knowledge Base section of our website. 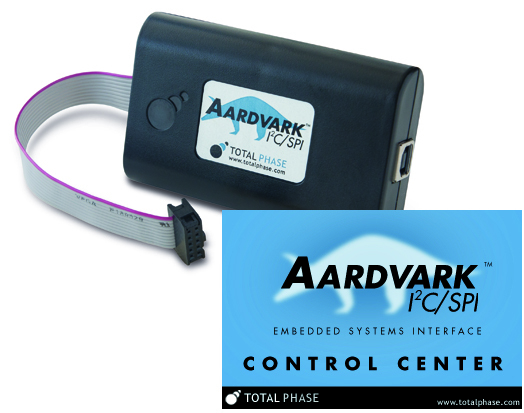 We’ve seen the use of Flash memory increase in embedded designs and this latest article teaches you how to use the Aardvark I2C/SPI adapter and the Control Center software to program an STMicro 4 MB Flash chip. Basic SPI protocol commands are explained in detail and the article can be applied to other Flash memory devices as well. Please take a look and let us know if it was helpful to you! Are you working with I2C or SPI? If so, did you know that the I2C Development Kit offers a significant savings over buying some of our products separately? 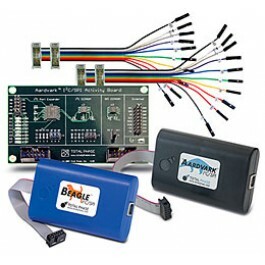 For the price of an Aardvark I2C/SPI adapter and a Beagle I2C/SPI analyzer, the I2C kit bundles an I2C/SPI Activity Board and two 10-pin split cables at no additional cost! The activity board is useful as a known-good slave for you to test your commands and the labeled split cables provide an easy way for you to hook up our solutions to your system. Visit Us at EE Live! It has a different name, but it’s still the same great show in San Jose, CA. Please visit us at booth 1724 to see a demonstration of our latest products and get a discount on your next order! Can’t make it to EELive? Be on the look out for an email from your Total Phase rep who may be coming to your area soon. 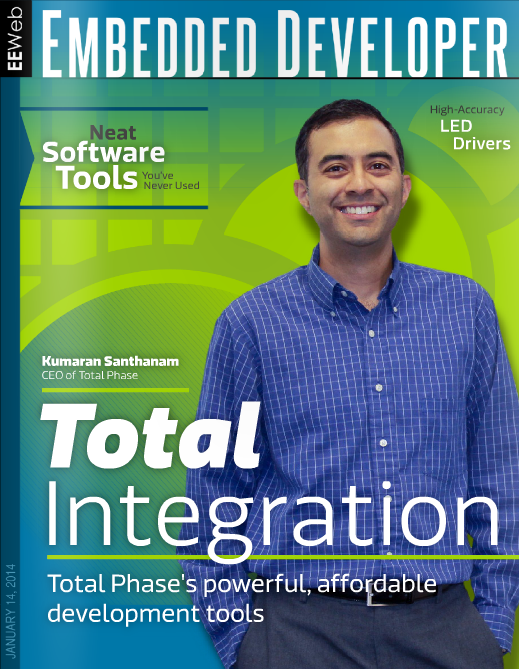 Our CEO, Kumaran Santhanam, had his time in the sun and was the featured subject in the January issue of the Embedded Developer Magazine. He talks about how Total Phase got started and gives his take on the embedded systems industry. The Beagle I2C/SPI Protocol Analyzer has been an excellent tool for low-level development. I was able to use it to debug both I2C and SPI communication protocols on our product.